Perineural cysts, also known as Tarlov cysts, are benign lesions increasingly found in patients undergoing neuroimaging studies. These cysts can very rarely be identified in children and even then, they are not so likely to be responsible for some neurological deficit. It seems to be of scientific and clinical importance to present a pediatric case with Tarlov cyst. 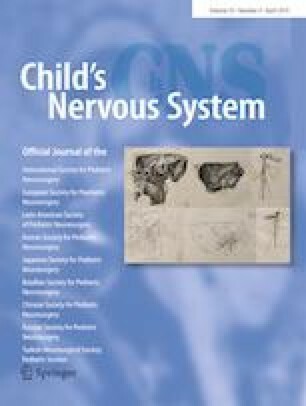 We report a case of a patient, a 7-year-old boy, previously treated for nocturnal enuresis (bedwetting), who later developed signs and symptoms of classic urinary incontinence. Magnetic resonance imaging (MRI) showed a relatively large extradural cyst at the level of S2. The cyst was approached by laminectomy of L5 to S2, excised, and completely removed from the belonging nerve root. The patient has established normal sphincter control without even a single episode of involuntary discharge of urine. A surgery is a powerful, safe, and efficacious option for treatment in pediatric patients with sacral Tarlov cysts. On behalf of all authors, the corresponding author states that there is no conflict of interest. None of the authors have any competing interests in the manuscript. All authors agree that this manuscript could be published. The patient and his parents gave us the approval report for publishing this manuscript. Informed consent was obtained from all individual participants included in the study. The ethics committee of the Clinical Center of Serbia approved publication of this manuscript.